E.A.G. 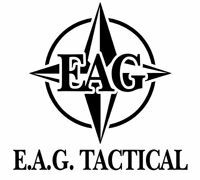 Tactical is a Veteran owned, small business, incorporated in 1992 by Pat Rogers, a retired Chief Warrant Officer Of Marines and retired NYPD Sergeant with a wide and varied background in the CT Community. They are a Department of Defense Trading Partner, and are assigned Cage Code 60HB7. E.A.G. provides training to the Military, other USG agencies, state and municipal organizations, as well as open enrollment courses per year to qualified civilians. E.A.G. requires that civilians atending these courses have a pistol permit (CCW) which provides us with documentable verification that at least at that time there is no criminal record. E.A.G. personnel carry liability insurance. Certificates of insurance are available for inspection. E.A.G. can travel to your location to provide training.